Nick Crowell, a Cleveland Detective, was shot in the line of duty in a cemetery four years ago. Now every few months he encounters people with strange problems who come to him for help. His problem is that he has no experience in this kind of thing and in most cases there's nothing he can do for them and this weighs on him. Encounter Nick Crowell's strange life in this unique paranormal mystery novella. Frank Zubek has a handful of short stories published online as well as the novella, "Chalk Story". 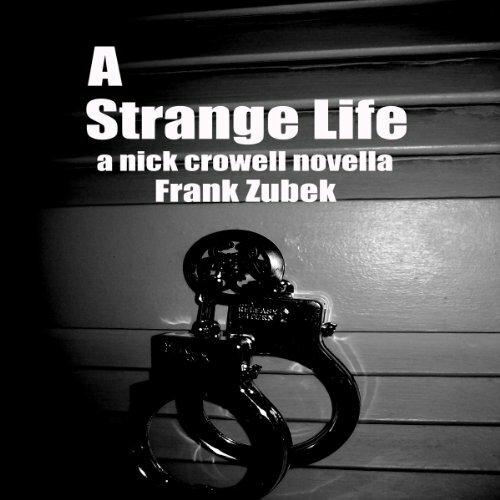 He is already working on a second novella about Detectives Crowell and Cole called "A Strange Life: Even Steven", which is scheduled for Summer 2013 as well as a stand-alone short story called "The Die Over Man: A Nick Crowell Story", coming soon. Crowell was originally published as a series of five short stories in the now-defunct Web page Demon Minds as well as a horror collection called Empath. This is the first-full length Crowell novella based on those characters.